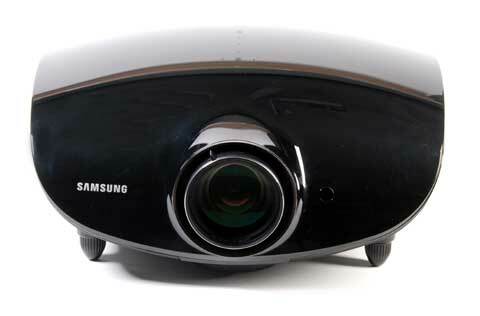 The Samsung SP-A800B was initially announced over a year ago at the CEDIA trade show in September, 2007. However, it did not commence shipments until last spring, and we did not get a review sample until three weeks ago. Normally we would not review a projector this late in its product life, but the SP-A800B is not just any projector. It was produced out of a collaboration between Samsung and Joe Kane, perhaps the best known video technology consultant in the business. Mr. Kane has a reputation for the pursuit of video perfection. Products designed under his influence tend to have a purity and elegance that competing products can't quite match. The SP-A800B is no exception. To the extent that there are limitations in the SP-A800B's performance capabilities, and indeed there are some, they are related to the limitations of the underlying single-chip DLP technology itself, and not to the implementation. At its current price of $9,995, the SP-A800B does not offer the best overall value proposition in the current home theater projector market. However, this is not due to design flaws in the SP-A800B, but rather to the striking competitive advances in LCD contrast and black level performance that have come to market this fall. Had we reviewed the SP-A800B last spring its price tag would not have been viewed as quite as much of a liability. 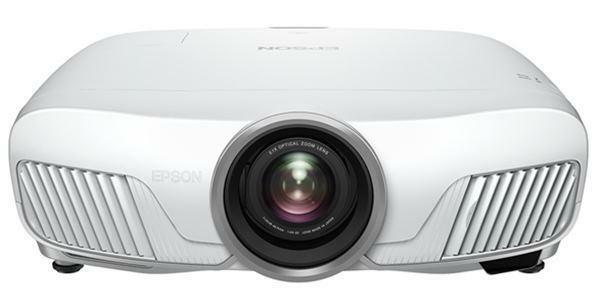 The SP-A800B is a solid projector in a fast moving, highly competitive industry. Light Engine: 1920x1080, native 16:9, DarkChip2 single-chip DLP, 6 segment, 5x speed color wheel. Connection Panel: Two HDMI 1.3 ports, one 15-pin VGA input, two sets of 3-RCA component video, one composite video, one S-video, one 9-pin D-sub serial (RS-232c). Lens and Throw Distance: 1.25:1 manual zoom/focus lens, with manual vertical lens shift. Throws a 100" diagonal 16:9 image from 12.5 to 16.25 feet. Warranty: Two years on the projector, 6 mos./600 hours on the lamp. First off: I know people who own this PJ, so I have watched several films on it, although I do not (yet?) own one myself. Kevo: Do you base that statement on this review, or have you actually seen this PJ? I believe that to say the things the reviewer does in this review about the in-use PQ against modern LCD's, the reviewer must have a screwed-up idea about what a good picture looks like. Obviously, if you don't want to look at films the way they were made, this PJ is not for you, but I have no clue as to why you would want anything else than that. If that IS what you want, no other 10k PJ does this as well as the Samsung. I believe the conclusion of this review says a LOT more about the reviewer than about the PJ. A review should say something about whether or not the product lives up to what's promised or not, compared to the competition, not say something about whether the reviewer personally likes frame interpolation or not. 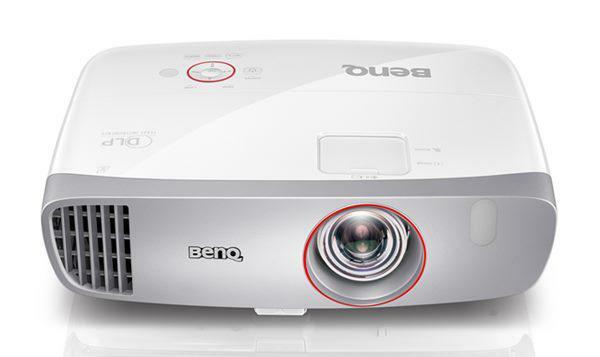 Why focus on the reviewers (screwed up) personal opinion about what pictures should look like, and not focus on the fact that even this reviewer acknowledges that no other projector in this price range puts out an image as accurate as this? BTW, I believe that ANSI contrast measurement must be downright flawed. One quick note: The reviewer talks about what "videophiles" may want or not want. Well, if you're not a "videophile", why the hell are you reviewing projectors on one of the most read projector-sites? Who cares what non-videophiles want. If you shell out 10k for a PJ, wouldn't you consider yourself a videophile? Kevo, have you seen this projector? Based on your comments, I sure hope so. I think 10k for an entire "high-end" system is a gross miscalculation. Some people invest that into two speakers. Specs do not mean performance. The Samsung SP-A800B does'nt have a "wide" gamut. It is the big positive point : there is not only ONE gamut but the 3 video gamuts and there is a switch gamut function for it. Another big point is calibration : The samsung can be calibrated accuratly with the CCA advanced function (xyY coordonates for primary colors). I'am with kevo on this. Reading the review and the specs I can't see that this projector produces a picture good enough to spend $10,000 it seems to only have the edge on a $2,500 panasonic because of colour accuracy. Since most people are not around when the movie is being shot and don't have a photograhic memory to recall with 100% accuracy the colours they saw at the cinema. Is it really worth the extra $7,500. WHAT THE ---- IS GOING ON? My dealer told me yesterday that this P.O.S. that I spend $10,000 for projector + install got DISCONTINUE ALREADY???? I HATE SAMSUNG. 1. This projector never focus on the edge of screen. 2) They take my $$$ and laugh at me and discontinue this S---.